Here is very interesting Brain IQ test puzzle which will make you think out of box. In this puzzle many different statements are given where you challenge is to fill the missing word. Same word is used in all the given statements. 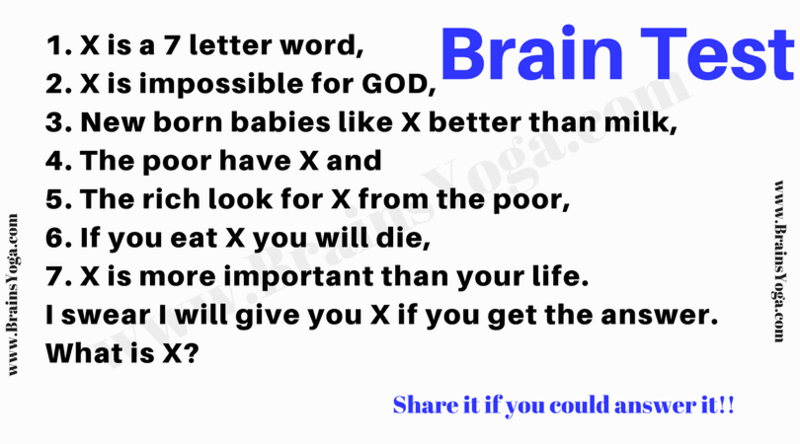 Can you find which word will replace X in this Brain IQ Test? Can you find which word will replace X? facts on the topic of my presentation subject matter, which i am going to convey in university. Nice to know that you liked this website. Please do share it with your friends, so that they can also enjoy our daily puzzles. Thanks very much for your wishes. It will be great if you share this website with your friends and family. revisiting. I surprise how so much attempt you put to make this type of great informative website.